Keep it real. I’m Bob DiTommaso and I love photography. I’ve been making photographs professionally during what I refer to as, “the better part of my life.” The funny thing is that I didn’t set out to be professional photographer, but from the first time I picked up a camera I was hooked. Growing up in Michigan, and as a young man with in an interest in business, I found a rewarding career as an executive at Chrysler. All the while, I was pursuing my photography only as a hobby. Over the years, my hobby grew to semi-pro status. As my skill developed, I was asked to photograph weddings and families I knew, or people who heard about me. And then, a few years ago, my life took a turn that changed everything forever. In 2008, my wife, Juliann, and I were faced with literally, a career-changing decision. Both of us had been executives with Chrysler for over twenty years, and we, like many employees at every level, were offered an incentive to take a buyout. We accepted Chrysler’s offer and we began our second careers. With the help and support of Juliann, I have a thriving professional photography business, Get Shot by Bob. I pinch myself every day. What’s the story behind GetShotByBob.com? I’ve always been a little out of the ordinary. GetShotByBob.com is not a place – exactly. It’s more of an attitude: I take photography seriously, but not myself. Yes, I do have to make a profit to survive, but I’ve proven that a photographer can do good and do well if the doing comes from the heart. Environmental Photography is the art of photographing your family to bring out the personality of each person. This can happen at a family portrait session, a wedding or a sporting event. 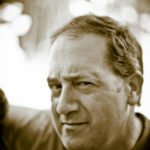 At GetShotByBob.com, I want to help you discover photographic experience that invites you to think, to create, to dream. Personalizing your home or work space with a Portrait Display created by Bob is a great way to express your personality and to enjoy your surroundings. While others can go to the store and buy the same sofa, tables and lamps, a portrait created by Bob makes a unique statement- this part is your story.